The Toilet: All of us need the toilet at some point, and with suffering with an illness like endo it is usually quite painful. 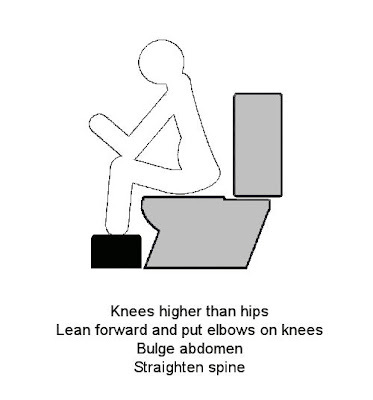 So I am not going to suggest taking a pillow to the toilet with you as that is way over unhygienic, But i wanted to share with you the position that can really make going easier for you. prop you feet upon it and as long as your knees are up and your leaning forward it is much easier to go. 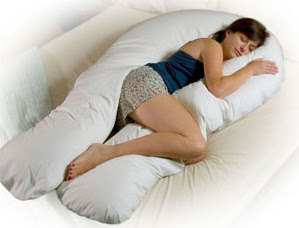 For Everything: I tend to use a pillow all the time for comfort when i can. Not necessarily the maternity one though i would love one!, I have one in the car to place between me and the seat belt (this is great for when you have just had an operation, it doesnt take the pain away but stops the seat belt from digging into your wounds. Another use for a passenger like myself if you keep two small comfy pillows one for your seat belt needs and one for the window so you can try and sleep. 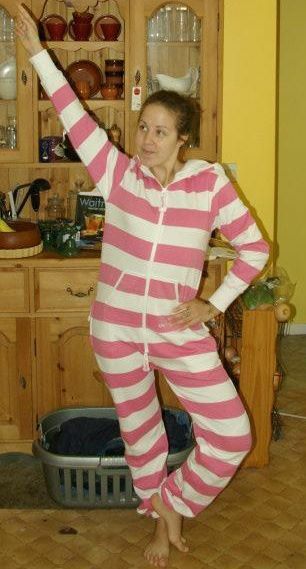 For Everything: My onepiece is for everyday that i am in pain or just need to be comfortable and want to cwtch into something, when i come in from a cold or/and rainy day i slip into my onepiece. It is a bit of a pain when i need the loo those but it does make me lovely comfortable and toasty. Cotton Winter Tights: I love wearing skirts and tights but nylon tights squeeze my tummy and it gives me a lot of pain so i opt for cotton tights and pull them all the way up and under my bra so that it stays there and that way i can wear tights and stay warm without causing myself more pain. Trousers/Jeans/Joggers & Shorts: I rarely wear trousers or jeans but when i do i go for ones the start from the hips so they arent on my belly at all or high-waisted, same with my shorts i buy high waisted. With my joggers i wear those either a size bigger than i need or wear them low on my hips. Dresses: I usually buy french connection dresses as they have the waist band for me just on my rib cage and below so its not pushing on anything making pain. 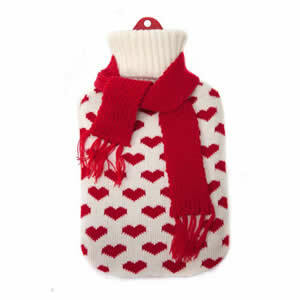 Not only for winter: When i am in pain i love to cwtch up to my hot water bottle hold it close and it soothes the inflammation, If that isn't enough I put a pillow on top of the hot water bottle and cwtch that too.